On September 25, Japanese Prime Minister Shinzo Abe held a press conference at which he announced that, upon the opening of the autumn extraordinary session of the Diet on September 28, he would dissolve the House of Representatives and call a general election for October 22. The election comes as a surprise after a summer in which Abe’s net approval ratings (based on Japan Political Pulse’s moving average) fell from +27% on May 1 to -22% on August 1 amidst influence-peddling scandals. During this period, the Liberal Democratic Party (LDP) suffered a significant loss in the Tokyo metropolitan assembly elections to Tokyo Governor Yuriko Koike (who won with the help of the local chapter of the LDP’s national coalition partner Komeito) and Abe’s would-be successors in the LDP became increasingly vocal about their preparations for the post-Abe era. It appeared as if Abe was already a lame duck with just over a year remaining in his term as LDP president. Since reshuffling his cabinet on August 3, however, Abe has enjoyed a remarkable turnaround. By the time news broke of his plans to call an election, his net approval rating had recovered to +4%, returning to 50% gross approval in at least one poll. These robust numbers have created the space for Abe to consider a snap election which, if the ruling coalition can retain or even grow its supermajority in the House of Representatives, will make it virtually certain that he will be elected to a third term as LDP president in September 2018, enabling him to serve as prime minister through 2021. That would not only make Abe Japan’s longest-serving postwar prime minister, but also would increase the likelihood of Abe being the prime minister who finally achieved constitutional revision. 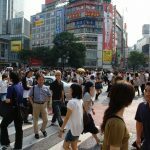 Opinion polls conducted over the past month are revealing both about the drivers of Abe’s recovery and the likelihood that his gamble on a snap election pays off. The North Korean nuclear crisis is likely helping Abe regain public support… Polls have shown high levels of anxiety about North Korea and wide support for the Abe government’s policy response. The government’s steps to strengthen Japan’s defense have also been popular. First, the North Korean nuclear crisis is likely helping Abe regain public support. Media accounts of Abe’s bolstered political standing often assume that this is the case — and in all likelihood it is a factor — but opinion polls themselves do not necessarily offer direct evidence of this explanation. For example, even as the Abe cabinet’s approval ratings have risen and its disapproval ratings have dropped, the main reasons given by respondents for approval or disapproval have not changed. In the case of those who expressed approval, a plurality or majority of respondents (depending on the poll) has said they support the cabinet because it is “better than the alternatives.” For those who disapprove, the most common response has been “cannot trust the prime minister,” which has been the most common reason for disapproval since allegations of influence peddling surfaced earlier this year. Both remain the most common replies in the latest polls. That being said, polls have shown high levels of anxiety about North Korea and wide support for the Abe government’s policy response. Jiji Press’s September poll found that 81.3% feel that North Korea is a “real threat,” largely consistent with other polls that asked similar questions. The public is largely supportive of the Abe government’s emphasis on “maximum possible pressure,” its diplomatic efforts with third countries, and the steps it has taken to bolster Japan’s defense capabilities. For example, when asked whether they favor the government’s emphasis on pressure or an emphasis on dialogue, pressure generally receives a majority or a near-majority of support: 51% in favor of pressure versus 38% in favor of dialogue in the Yomiuri Shimbun’s poll conducted in early September, after the first missile test and the September 3 thermonuclear test; 69% either greatly (21%) or somewhat (48%) in favor of the government’s approach in NHK; and 44% in favor of pressure in late August Nikkei poll, before North Korea’s two ballistic missile tests over Japan and its September 3 nuclear test. The government’s steps to strengthen Japan’s defense have also been popular. The Jiji poll found that 51.1% approve of the Ministry of Defense’s historically large budget request for FY2018, compared with 32.4% who do not. The latest August Nikkei poll found that 61% supported the government’s decision to introduce the Aegis Ashore missile defense system. Yomiuri’s September poll found similar levels of support for Aegis Ashore, 64% in favor and 22% opposed. Polls show that despite North Korea’s actions, there is a public bias against military solutions and in favor of diplomatic solutions. Opinion polls are not unambiguous in support of the government’s handling: the Asahi Shimbun’s September tracking poll, which has a sample size nearly twice as large as any other poll, found the public evenly divided on Abe’s handling of the crisis (39% in favor, 39% opposed), divided over the appropriateness of using the public alert system to inform citizens of missile launches (42% say it is appropriate, 39% say that it is not), and 45% in favor of dialogue versus 40% in favor of more pressure. The Asahi poll is an outlier and the results are likely sensitive to the poll’s wording, but the sample size suggests that these findings cannot be easily dismissed. This poll, combined with the relatively small majorities favoring stronger pressure in other polls, suggests that the public’s support for Abe’s approach is not without reservations. It does not, for example, extend to greater military pressure on North Korea. The late August Nikkei poll found that only 14% favored military action in response to North Korea’s nuclear and missile development. A Mainichi Shimbun poll conducted later, the same weekend as the nuclear test, found only 25% supported “strengthening military pressure” versus 61% who supported “strengthening diplomatic efforts.” This question is vaguely phrased, particularly compared to the Nikkei poll, which asked respondents to choose between diplomacy, economic sanctions, and military action. Nevertheless, polls show that despite North Korea’s actions, there is a public bias against military solutions and in favor of diplomatic solutions. This could include diplomatic solutions to pressure North Korea: NHK’s question on whether the public supports the government’s emphasis on pressure framed the question by referring to Abe’s summit meetings and phone calls with his counterparts in the US, South Korea, and Russia as part of a coordinated international effort. In short, it is unclear just how deeply the public supports Abe’s North Korea policies and therefore just how much support for those policies has boosted his approval ratings. 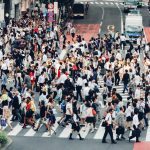 However, the public is sensitive to the issue, explaining why in Nikkei’s September poll 38% of respondents said foreign and national security policy was the issue they wanted to see emphasized most in the campaign, second only to social security reform. This is an unusual finding, and while interest in foreign policy does not necessarily mean support for the prime minister’s approach, a campaign in which foreign affairs are prominently featured plays better to Abe’s strengths. But support for his policies is not the only way that North Korea could bolster Abe’s political standing. The intensification of North Korea’s activities has likely helped the prime minister by drawing media and public attention away from the still-unresolved Kake Gakuen and Moritomo Gakuen scandals. The intensification of North Korea’s activities has likely helped the prime minister by drawing media and public attention away from the still-unresolved Kake Gakuen and Moritomo Gakuen scandals. Until September, tracking polls were dominated by questions about the scandals. Until September, tracking polls were dominated by questions about the scandals. The North Korea crisis, however, means that polling on the crisis took precedent, and only Asahi and Kyodo News included questions about the scandals. The findings in those polls suggest that the public’s feelings about the scandals have not changed — in Kyodo’s 24 September poll, 79% said that Abe’s explanations for both scandals were insufficient, while in Asahi 52% said that it is essential for the forthcoming (and now-preempted) Diet session to provide more clarity — but between North Korea’s dominance of news coverage and the lack of new details about the scandals, public anger has receded. By preempting the autumn extraordinary session of the Diet, Abe will avoid additional parliamentary questioning about the scandal before an election. North Korea and its secondary effects are not the only factors in Abe’s recovery and his decision to call an election. It is undeniable that the crisis in the Democratic Party (DP) has presented Abe with a window of opportunity to call an election, especially since a new party affiliated with Koike has just emerged and could field only a limited number of candidates in October. While the DP has struggled to overcome the public’s hostility ever since its predecessor, the Democratic Party of Japan, lost power in 2012, the party’s crisis has worsened since Renho Murata resigned as party leader in July and Seiji Maehara was elected party leader on September 1. It is not just that the party’s approval ratings remain firmly in the single digits. Rather, polls ahead of the party leadership election showed that the public was mostly indifferent to who would become the next face of the party. In Nikkei’s poll before the election, 31% of respondents failed to register an opinion of the two candidates; in Asahi earlier in August, 55% said they supported neither Maehara nor losing candidate Yukio Edano. In Asahi’s September poll, 58% said they did not expect anything from the DP under Maehara, compared with 28% who did. The equivalent figures in Yomiuri were 60% and 33% respectively. With several DP lawmakers having already left the party and several more preparing to leave, and with the party undecided about its electoral strategy and platform, the party’s crisis could still worsen. Regarding strategy, polls show that Maehara has a particularly difficult choice to make regarding the still-tentative electoral alliance between the DP and the Japanese Communist Party (JCP), since, on the one hand, the alliance could unify the non-LDP vote in marginal constituencies, but on the other hand, polls show that cooperation with the JCP is deeply unpopular, with support at little more than 20%. In short, the DP is uniquely hamstrung heading into an election campaign. It looks, however, as if the two parties will discuss coordination in a limited number of competitive districts, potentially minimizing the overall harm to the DP’s support while giving its candidates in winnable districts better chances of success. At the same time, cautious optimism about Koike’s Party of Hope (PH) could both make life more difficult for the DP and also likely contributed to Abe’s decision to call an early election. The new center-right opposition party, which Koike will lead while still serving as governor, will complicate the outlook for competitive races in urban and suburban constituencies. It has already attracted defectors from both the DP and the LDP and could run as many as sixty candidates, mainly in the Kanto region. The public is, however, still uncertain about the new party: in Asahi, respondents said they had hopes for the JFP by a 49% to 39% margin; in Yomiuri respondents were skeptical, with only 41% optimistic compared with 46% not optimistic. Nikkei’s latest poll, released on September 24, was marginally worse: 40% hopeful, compared with 47% who are not. It is possible that Koike’s leadership role in the new party will boost its approval, even if she is not herself running. 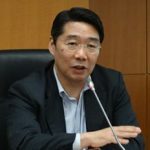 The party’s decision to run on an anti-consumption tax hike platform could also help. However, given public uncertainty about the PH, Abe is clearly seeking a new mandate from voters before the PH can become a more formidable challenger. Given these conditions — recovering approval ratings, high marks for his handling of a serious foreign policy crisis, an established opposition party in seemingly terminal decline, and a new opposition party scrambling to prepare for an election — the political logic of a snap election is indisputable. What the polls thus far do not reveal, however, is how these factors will shape electoral outcomes. While the LDP-Komeito majority is by no means in jeopardy, the ruling parties will nevertheless have to defend their 324-seat supermajority in the House of Representatives, which if lost would mean Abe’s cherished goal of constitutional revision would become considerably more difficult for the government to achieve. Thanks to redistricting, the coalition will have fourteen seats to spare, but if the LDP were to lose enough seats to lose the supermajority, it would leave Abe vulnerable to substantial intra-party criticism that he diminished the party’s majority in an election ultimately called to shore up his own political standing. Abe has actually tried to dampen expectations, suggesting that the ruling coalition’s “victory line” is a simple majority of 233 seats, ninety-one seats below its current level. There is little chance of the coalition falling anywhere close to this number. Abe’s personal victory line – the point at which election returns could severely harm his chances of staying power – is harder to determine, although the higher the losses are above fourteen, the worse it will be for him. The outcome of the 2017 general election may ultimately depend on turnout. Due to the aforementioned factors, it is unclear how the ruling coalition could lose even as many as fourteen seats in October. 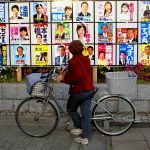 The DP’s ability to make inroads against Abe will be hindered by its stubborn unpopularity; its inability to decide on an alliance strategy and the likelihood that the JCP will field many candidates; and the prospect of PH candidates taking DP votes from the right, at least in a small number of districts. Abe will be further boosted by a strong economy and a dangerous regional security environment, both of which will enable him to appeal to voters on the basis of stable leadership. Abe could also be helped by some newly announced populist proposals, including a plan to divert roughly ¥2 trillion annually from revenue raised by the consumption tax hike planned for October 2019 in order to pay for universal, free early childhood education and childcare. Both elements of this plan are broadly popular, according to Nikkei’s latest poll. 59% support raising the consumption tax but changing how the money raised is used; 73% support making early childhood education free. This article additionally was published on Nippon.com. 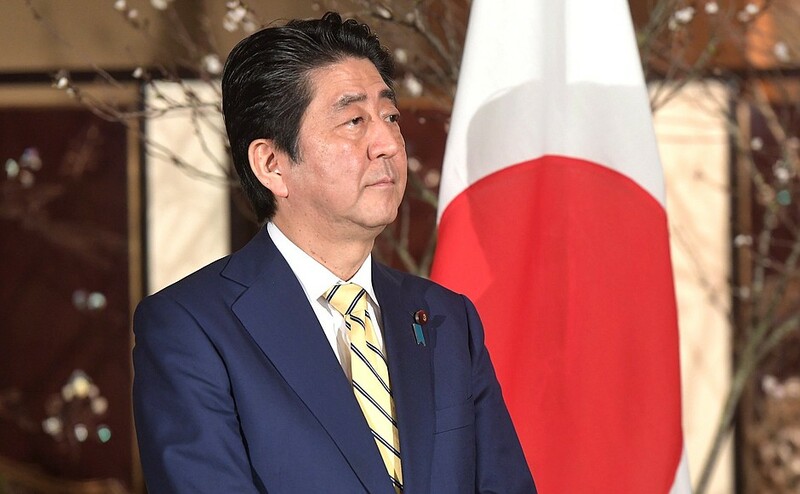 The clock is ticking on Abe’s tenure as prime minister, writes Tobias Harris, Sasakawa USA Fellow for Trade, Economy, and Business, in this August 8 Japan Political Pulse update. While an August 3 cabinet reshuffle has increased approval ratings to an extent, public dissatisfaction with Abe remains. Recent polls suggest that Abe could have a harder time than he anticipated in winning a third term as LDP president when his term expires in September 2018 – and, in the meantime, his ability to control his party as he tries to amend the constitution might weaken, as well. A slump in Prime Minister Shinzo Abe’s approval rating is driven by a growing scandal regarding the involvement of senior Abe administration officials in the licensing of a veterinary school to be operated by educational institution Kake Gakuen, and the ruling coalition’s decision to suspend ordinary legislative procedures to pass a controversial anti-conspiracy bill.